For the miscellaneous requirements of our clients, we are engaged in distributing, manufacturing, service providing and trading a wide range of Cargo Container Equipment. These products are well designed and are reliable in nature. According to the needs and demands of our clients, we are engaged in offering a wide range of Cargo Net. These products are highly flexible in nature and are highly demanded by our clients. High quality, superior finishing, and dimensional accuracy are considered some of the salient specifications of these products. We are offering these products at affordable rates. To meet the diverse requirements of our clients, we are engaged in offering a quality range of Wheel Lashing. The entire range of our products is manufactured using high grade base material bought by the trustable dealers of the industry. These products are well known for their attributes like unmatched quality and durability. Tie Down Strap (also called lashing straps, webbing with tie downs) are fasteners used to hold down cargo or equipment during transport. Tie Down Strap are essentially webbing that is outfitted with tie down hardware. This hardware allows the Tie Down Strap to attach to the area surrounding the cargo or equipment, loop over the cargo or equipment, and/or attach to the cargo or equipment. It usually also includes a method of tensioning the strap, such as a ratchet. 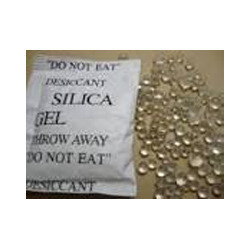 Silica gel can adsorb about 40 percent of its weight in moisture and can take the relative humidity in a closed container down to about 40 percent. Once saturated, you can drive the moisture off and reuse silica gel by heating it above 300 degrees F (150 C). It is suitable for ocean, truck, rail and air shipping container, also suitable for long term storage. We have silica packets available in 5gm to 50gm packing. Looking for Cargo Container Lashing ?